Sixty students from TBSHS Sixth Form recently received confirmation of the results of their Level 3 Extended Projects. The qualification is a challenging but rewarding opportunity for students to tackle a project on a subject of their own choice. Supported by a member of TBSHS staff, they must identify their topic, refine a question and carry out 90 hours of independent research before writing up their findings in an assignment of approximately 5000 words. The students also have to keep a log of their enquiry and give a formal presentation that summarises both their research process and the conclusions that they have drawn from their investigation. The whole project encourages students to develop a wide range of skills, from independent research and the critical use of their source material to organisation and self-discipline. It is highly valued by both universities and employers. 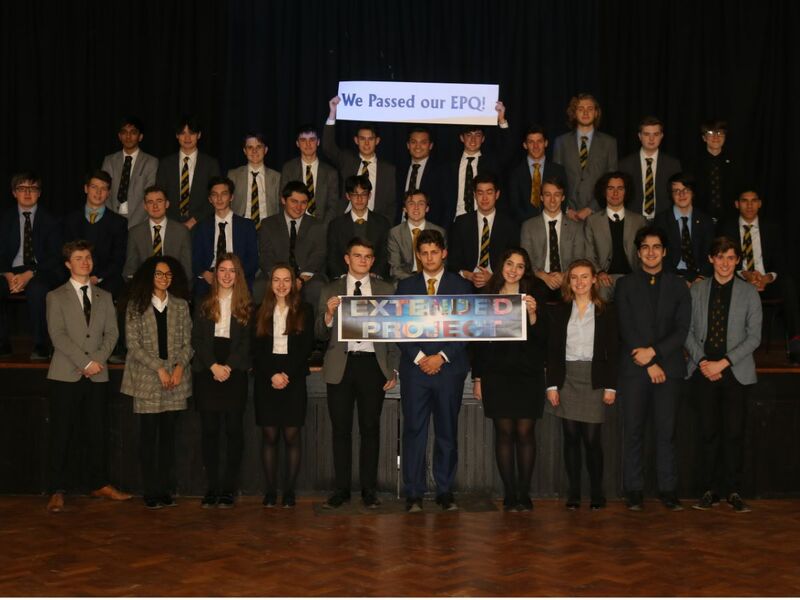 The school is delighted that 19 students (31.7%) achieved the highest A* grade for their project with over 53% achieving an A grade or above. - To what extent is asthma a barrier to competing in elite sport? - To what extent did the Big Bang remove our 'Free-Will'? - To what extent can music therapy be used as an effective treatment for neurological disorders? - To what extent was the collapse of the Old Kingdom of Egypt due to Drastic Climate Change Conditions? - To what extent is 'Heat Death' the most credible explanation for the fate of the universe? - To what extent should higher education be funded by the government in England to increase overall economic welfare? - To what extent has the Norman Conquest influenced the English Language? - To what extent has climate change affected our glaciers and polar ice caps? - Evaluate the possible impact of a holistic treatment approach to an Alzheimer's patient. - To what extent will Nanotechnology in foods make truly organic products obsolete? - Composing a baroque partita for solo violin inspired by the work of J.S Bach. - Designing and creating a customizable footwear storage product suiting the middle market target audience and their needs for shoe storage and space availability. - An investigation and production of a 24" scale length guitar. A huge thank you must go to Miss Quinlan, Mr Shortland, Mrs Mills, Miss Morris and Mrs Miles for all their hard work and insight while supporting the students.